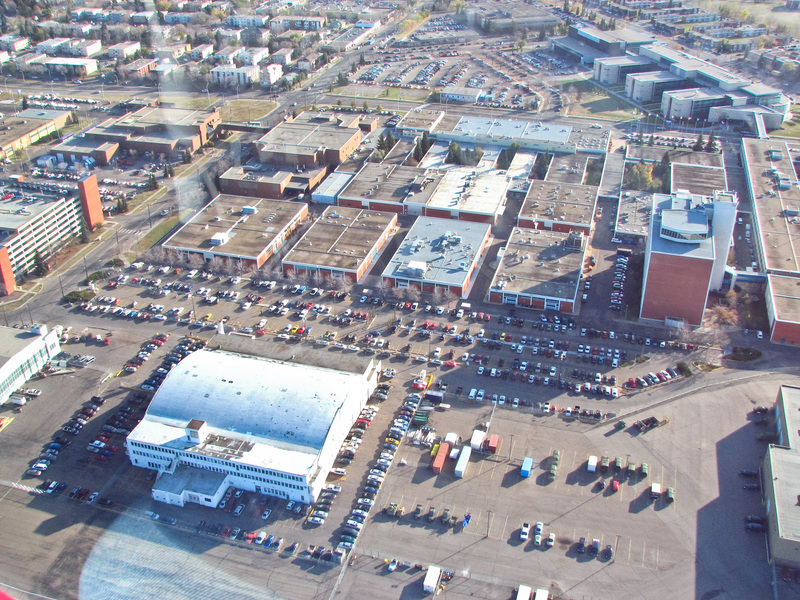 Edmonton City Council made a bold decision in the direction of urban densification in early July, voting to eventually close the City Centre Airport, with precise timing still to be determined. The vision that will replace the medevac flights, hobby craft and small charters is a transit-oriented, mixed use, high density green community centred around an LRT station, and an expansion of the Northern Alberta Institute for Technology campus. While there were some understandable concerns about the effect this decision would have on businesses currently located at the airport, Council decided that the benefits of redeveloping the 217 hectare (500+ acre) area vastly outweighed the business and transportation benefits of keeping the airport open. In April I wrote about the choices several other North American cities had made to close their centrally-located airports and redevelop them as model mixed use urban communities. I personally think that the decision Council has made is the right one and that, if realized, the vision for the airport lands could signal a paradigm shift for Edmonton away from its predominantly suburban development form. But while I applaud this particular decision, I question whether this city realizes what will be required to have it become a reality. A shift towards an urban sensibility in Edmonton, even just to the point where urban development is in balance with suburban growth, requires big picture thinking on the part of City Council and planners to see how all the elements fit together, to ensure that support is given to this type of urbanism. Edmonton is growing surprisingly fast. The 2009 municipal census shows that the city managed to add some 30,000 residents between April 2008 and April 2009, bringing the total population to 782,000. This is a rather impressive rate of growth, considering the difficult economic conditions during that time period, including a collapse of the oil prices which are so important to Edmonton’s economy. Continued growth is an important pre-condition for the redevelopment of such a large site as the airport, and as oil prices creep back upwards the short-term outlook, at least, appears positive. But while growth usually equals demand, demand is not a homogeneous thing where real estate is concerned. Approximately three quarters of residential development in the Edmonton market currently takes place in newly-developing suburban areas, with urban redevelopment capturing the rest. And there is no shortage of suburban areas being developed. As of 2008, there were 42 neighborhoods under development across the city. The Planning and Development Department keeps track of development trends relative to supply in approved plan areas, using single family lots as a barometer for the overall market. In 2008, there was a 10 year city-wide supply of single family residential lots in Neighbourhood Structure Plan Areas. Taking higher level Area Structure Plan numbers into account, Council approvals were in place for almost twice as many lots, representing an 18 year supply†. With new areas being proposed to be opened up for suburban development through the draft Municipal Development Plan, this state of oversupply seems poised to continue. While oversupply is good in some respects, moderating the cost of new homes, the question is not just about quantity or cost. Through the Strategic Plan, Edmonton City Council has expressed a desire to shift the city away from the predominant sprawling suburban form. If Edmonton really wants to densify, make better use of existing infrastructure, make a shift to public transit and other alternative modes of transportation and invigorate mature neighborhoods, then Council cannot have its cake and eat it too. If Edmonton wishes to revitalize Downtown, The Quarters, the Downtown North Edge, Alberta Avenue, Jasper Place and the City Centre Airport lands (all of which have seen planning efforts in recent years) through redevelopment, as well as hoping for redevelopment activity in other mature neighborhoods and along LRT lines, then continuing to offer support for new suburban development is naive. If these redevelopment efforts are the brainchildren of City Council, why would Council eat their young? An important task of City of Edmonton planners should be to understand clearly how much development the city really needs, and make firm recommendations to Council about where to place priorities. This is not to say that development should be halted or artificially constrained. Everyone needs a place to live. But it can and should be directed and shaped so that development occurs in a fashion and the locations where it can support the city’s vision for itself. People complain so often about developers ruining their neighborhoods, cutting down this, tearing down that, building that other thing that “no one wanted”. We seem to forget that it is in our power to guide developers, through clear regulations and policies, about how we want our city to look and function. We can’t really blame them for looking out for their bottom line, particularly if we are not confident enough as a city to look out for our own. † Note: Calculations for city-wide supply are my own, extrapolated from City of Edmonton estimates for developing sectors of the city. Going out to see Slumdog Millionaire tonight offered a very agreeable urban experience: hundreds of people lined up down the block to get into Edmonton’s early-modern 1940 Garneau Theatre. It was unseasonably warm today (several degrees above freezing), so people seemed very happy to be waiting outside in the night and there was a lot of sidewalk conviviality. Some strangers in front of us in the line even offered to share their pizza with us. 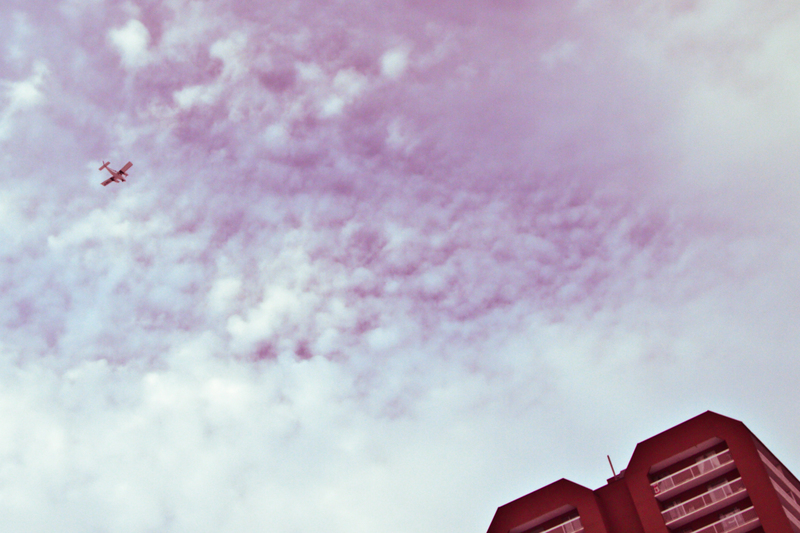 Rumors suggest the Garneau may be redeveloped. The theater building itself was a topic of conversation while standing in line for tickets. A January 7th blogpost by Dave Cournoyer reinvigorated rumors about major changes coming to the Garneau. A local lawyer, John Day, purchased the building a few years ago, and ever since there have been fears that he intended to raze the entire site and replace it with condos. Day is actually responsible for some of Edmonton’s most contextually-sensitive recent architecture: the Sobey’s building on 104th Street and Jasper Avenue that succeeded the troublesome low-rent Cecil Hotel, and the replacement for the Albert’s Restaurant building on Whyte Avenue that burned in 2003, both landmarks in their own right. The Garneau, however, neither a beer-sodden troublespot nor (knock on wood) burned to the ground, appears commercially healthy, so rumors of its redevelopment are less likely to be met with easy acceptance. But isn’t a building like this protected? Can he really just do that? The answer, unfortunately, is yes he can. Although identified on the City’s Register of Historic Buildings, the building has not been designated as a Municipal Historic Resource. The City of Edmonton provides incentives to property owners who wish to officially designate their property, usually in the form of grants for renovations, in exchange for the right to ensure that the essential heritage characteristics are retained, that the building is maintained in fair condition and that the building will not be demolished. Designation, however, is voluntary, and while City Council can choose to designate a building against the wishes of a property owner, this is not a power that Council is quick to exercise. So, the fate of this landmark is in Mr Day’s hands. Judging by his past successes, those hands appear to be sensitive and capable. Ultimately, if his intention is to remove but then faithfully reconstruct the most essential heritage element of this building, the marquee, then it can be argued that there is little to complain about. The landmark will be renewed and ready for another 68 years of service, and most Edmontonians will soon forget that the reconstructed marquee is not an original piece. But the trick will be in doing it exceedingly well, and I would be willing to bet large sums of money that Mr Day will be unable to avoid significant controversy once his plans are finally revealed, regardless of the merits of his design. At the very least, the fact that the beloved Pharos Pizza will not return post-renovations will result in nostalgic heartache on the part of many. This will be interesting to watch. My reposting of my India emails the other day prompted me to check into recent goings-on in Mumbai. I came across this video posted on youtube by SPARC, a housing and infrastructure NGO that works primarily in Dharavi, which is claimed to be Asia’s second biggest slum, with possibly millions of people living in highly compressed conditions. I won’t even hazard a guess as to what sort of density you can find there. The boundaries of the slum are not clear-cut, and accurate estimations of the population do not seem to exist, though it is at least 600,000. Images and a story on National Geographic give you an idea of the type of human intensity that is to be found there. I wasn’t supposed to like SPARC when I was working in Mumbai. They were a rival NGO with which my NGO had “philosophical differences”. I’m really not even sure what those differences were, now. But it seems to me that SPARC does some pretty effective advocacy work. Currently they are protesting the details of a slum redevelopment scheme put forward by the Slum Rehabilitation Authority in 2007. Making improvements in Mumbai slums is a long and arduous process, and my feeling is that redevelopment or rehabilitation schemes in the past have often been slanted towards real estate and investment interests rather than the interests of slum dwellers. Slums, as in North American cities in the 1950s and ’60s, have been determined to be in need of eradication. Approaches in the past have sometimes been as simple as bringing in some bulldozers. 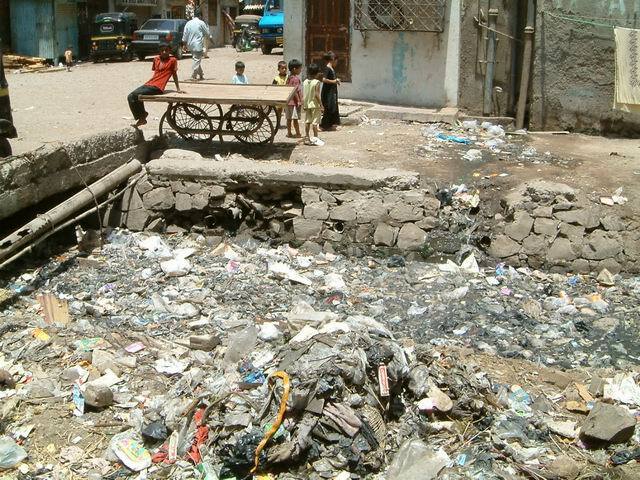 I won’t argue that Mumbai slums do not offer wholly inadequate living conditions for their residents. They are a mass of humanity to which proper services are extremely difficult to provide. But, in the wholesale dismantling of slums, what is forgotten is that they are home to many people, the centre of domestic, social and economic life. Dharavi is a huge employment centre, where many of the megalopolis’ least palatable jobs get done. Bulldozing a place like that and starting from scratch is like yanking out an essential organ from a body and attempting to replicate a fresh one in a lab. Not easily done; the body will suffer. For those interested in knowing more about the ins and outs of the slum redevelopment process as practiced in Mumbai until recently, a very interesting academic article can be found here.